For a move with basically one setting, I was surprisingly captivated. James Franco was great at portraying this guy trapped, going through all the stages of grief. I like to show the clip of him sawing off his arm to new people I meet because their reactions are priceless. A technically impressive piece of work with an undeniably powerful finale. It's shocking to believe this is a true story, but who better to portray this shocking story than Danny Boyle and James Franco. This is by far the most defining role James Franco has ever played. I cannot get enough of this movie, it's more like watching a thrilling documentary instead of a film. The entire thing is beautiful, moving, and, for some, too realistic to bear. One of the best films I've seen. Bravo. 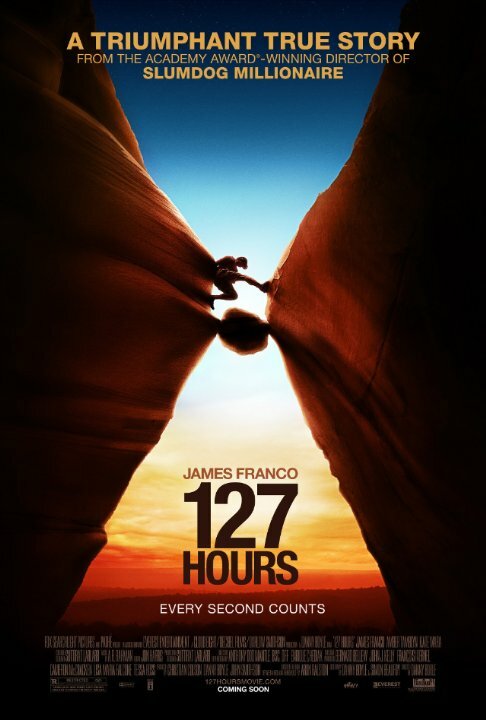 Danny Boyle, director of the Oscar-Winning 2008 film Slumdog Millionaire, surprises us with 127 Hours, a short but still full-length film based on a true story about Aron Ralston who basically finds himself stuck in a serious physical bind while trying to hike. That is, his arm is stuck between where he was hiking and a large rock. Many may think it’s a simple premise and those many are correct. So does this film successfully depict a simple premise in such a short amount of time? Absolutely. First of all, in this movie James Franco IS the hiker. In other words, I felt like this was live footage but still an extremely coherent film with a great acting performance. The fact that it feels so realistic is golden. Scooby- Doo where are you? Aron Ralston: "I'm in pretty deep doodoo here." The story is about a mountain climber becomes trapped under a boulder in a remote area near Moab, Utah, he must resort to extreme measures in order to survive. Danny Boyle once again proves that he is a fantastic director in this movie. The way he shots and show the trouble that are main character goes through, it's truly great. The cinematography in this movie took the wind out of me it's that brilliant. This is James Franco best role I've seen him. He made me care about his character and he almost made my cry a little a bit. No posts have been made on this movie yet. 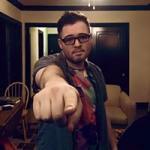 Be the first to start talking about 127 Hours!